£1 billion deal put in place between businesses and the public sector. The government has announced a new billion-pound deal to ensure the UK remains a world leader in the development of Artificial Intelligence (AI) technology. The new deal includes more than 50 leading businesses and organisations, which will pump in more than £300 million of investments. On the other hand, Business Secretary Greg Clark, and Digital Secretary Matt Hancock, said the government will also throw in more than £300 million for AI research. The goal of the investments is to make sure the UK stays a ‘research hotspot’. Some 8,000 specialist computer science teachers will be trained, and some 1,000 government-funded AI PhDs will be added by 2025. “This will make sure every secondary school has a fully qualified computer science GCSE teacher to give the next generation the skills they need to develop and capitalise on future technology,” it was said in a press release. "The UK must be at the forefront of emerging technologies, pushing boundaries and harnessing innovation to change people's lives for the better,” commented Hancock. "Artificial Intelligence is at the centre of our plans to make the UK the best place in the world to start and grow a digital business. We have a great track record and are home to some of the world's biggest names in AI like Deepmind, Swiftkey and Babylon, but there is so much more we can do. "By boosting AI skills and data driven technologies we will make sure that we continue to build a Britain that is shaping the future." The news was also welcomed by leading technology firms across the country. "AI-driven operations are now becoming more common-practice. 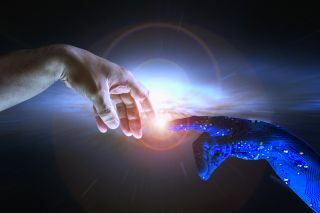 It is already being trialled across hiring processes, medical practices and even the criminal justice system," said Emma Kendrew, Accenture Technology’s artificial intelligence lead, UKI. “As the stakes get higher, AI will have unprecedented access and impact on the ways people work and live. The technology needs to be nurtured in the same way as a child and taught the principles of good citizenship: responsibility, fairness, and transparency. It’s definitely a case of nurture over nature."